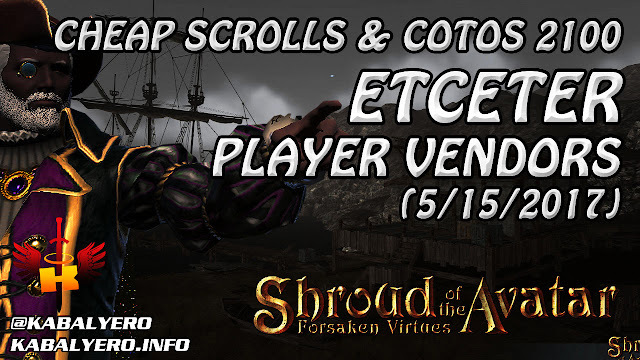 Etceter NPC Town, Cheap Scrolls & COTOs @ 2100 (5/15/2017) - KABALYERO - PLAY, BLOG & EARN! Etceter is an NPC Town located south of Novia in the Quel region. I don't frequent Etceter but I do go there to check out the Player Vendors in town. For this visit, I found and checked a total of 20 Player Vendors. If you want to know what these Player Vendors are selling then watch the video below.